Get your picks ready and buckle in for your fantasy hockey leagues to get going. After all, the start of the NHL season is just over a month away and drafts will be starting to take place over the next month. For those of you entering – or already in – a keeper league you’ll be interested in what you can do with your late-round picks. These can be the difference makers on your roster – the depth players that can set you apart from the rest of your league with one relatively good season. In part one, we looked at three forwards that should be looked at thoroughly in building a deep fantasy team. But it’s time to move to the back end – the blue line. It’s time to look at a few workhorses that might not seem like solid picks, but that can help you down the stretch in your fantasy league. A key component in Buffalo’s trade to get Ryan O’Reilly, Nikita Zadorov finds himself as a member of the Colorado Avalanche. His NHL sample size is small – yes. But Zadorov is a big, physical defenceman. Depending on what statistics your pool tracks, Zadorov will certainly find himself in the box from time to time. Reports have the 20-year-old as a potential defensive partner for Tyson Barrie – a 53-point defenceman last season. While Zadorov only notched 15 points (3g-12a) in 60 games in 2014-15, expect the young blueliner to nearly double that total in 2015-16. A new coach, a new (and proven) defensive partner and a team that has more experience than his previous club will give Zadorov the opportunity to turn into the first-round pick that Buffalo made him in 2013. After an impressive rookie season in 2013-14, anything that could go wrong seemed to for the Penguins young defenceman Olli Maatta. He recorded nine points (1g-8a) in just 20 games last season suffering from injuries, the mumps and most concerning – a cancer scare. But his 29-points rookie season should be an indication of just what this kid is capable of. Add to that the additions of Phil Kessel, Nick Bonino and Eric Fehr and there’s no question that Maatta will play a role in helping the Penguins offence take off this season. If the 21-year-old can stay healthy this season, there’s no reason that he can’t put up a solid offensive season and be the second coming to Kris Letang on the Pens back end. Don’t let Maatta fall too far in the draft, however, as you won’t be the only one remembering his first season in the NHL. 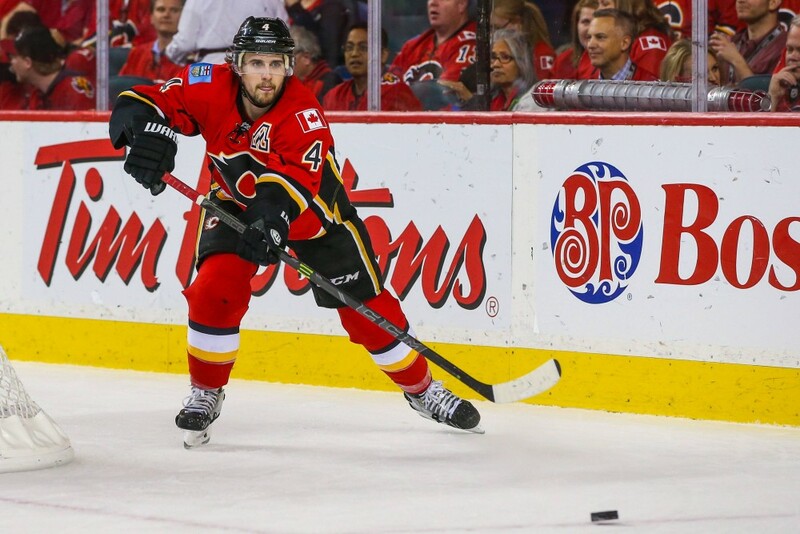 He’s likely one of the more undervalued players for the Calgary Flames, but Kris Russell should be a solid late-round pick for fantasy owners this season. After a strong run by the Flames last season with Mark Giordano and led by Russell, Dennis Wideman and T.J. Brodie, it shouldn’t be surprising that the 28-year-old Russell is expected to have a relatively good season from a fantasy standpoint. He finished 2014-15 with a career-high 30 assists and 34 points with a plus-18 rating in 79 games played. 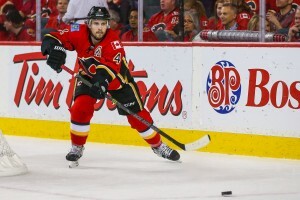 If that isn’t enough, he added seven points (2g-5a) in just 11 playoff games for the Flames before they were knocked out in the second round. He’ll never be your prototypical 40-point defenceman, but on a fantasy team where depth defenders are a needed asset, there’s no harm in grabbing a guy that has the ability to tally 30-plus points.